As the San Jose City Council is set to consider new medical marijuana business regulations this October, a poll released today shows widespread public support for patient access to medical marijuana delivery. The poll, commissioned by Eaze, the leading medical marijuana technology company, reveals that 69% of San Jose residents support medical marijuana delivery, sending a clear signal to city council members. "Voters clearly desire safe, regulated access to medical marijuana delivery in San Jose," said Keith McCarty, CEO of Eaze. "We are encouraged that the San Jose City Council, City Manager, and San Jose Police Department have spent substantial time doing due diligence into the safest delivery model for patients. With strong ties to Silicon Valley and our experience working with regulators throughout the state, we understand how technology can help cities manage collective deliveries safely while effectively reducing illegal marijuana activity." Cities like San Jose and Los Angeles have effectively allowed for the rise of illegal distribution of marijuana by prohibiting a safe, regulated, technology-enabled delivery model. More than 100 cities across the state, including San Francisco, Oakland, and San Diego, have shown that a technology-enabled delivery model can be safer for patients with real medical and accessibility issues. "I have lived with Lupus for 7 and a half years. My chronic pain and limited mobility make it a struggle to work and take care of my family. The City Council's ban on medical marijuana is harmful to patients like me, and doesn't make our community any safer," said San Jose resident Noemi Vasquez. "Medical marijuana has saved my life. It manages my pain and gives me the ability to take care of my children and live a happy, productive life. Why should those of us- who are too sick to drive-be forced to order from illegal services we don't trust when better, safer options exist?" San Jose residents are concerned about illegal drugs if delivery remains banned: 53% of respondents support delivery services because if delivery is banned, people may utilize illegal, unsafe methods that are almost impossible to police. More than half of residents believe technology can create safeguards: 65% of San Jose residents believe safeguards in technology platforms like patient identification, transporting shipments under lock and key, GPS tracking, driver background checks and valid licenses can make medical marijuana delivery safe. A majority of residents believe patients have a right to access the medical marijuana treatments their doctor recommends: 91% agree that it is a patient's right to access the medical marijuana treatments their doctor recommends. Residents believe medical marijuana should be available for delivery just like other prescription drugs: 69% support allowing patient access to medical marijuana through delivery because many patients don't have access to transportation and delivery helps them plan and manage their chronic conditions. The poll also found that only 32% people were aware that San Jose does not allow patients access to medical marijuana via delivery. San Jose is not the only city with overwhelming support for delivery services. San Diego, San Francisco, and Oakland are among about 80 cities that have had medical cannabis delivery services operating without issues for the last few years. Los Angeles has seen illegal delivery services skyrocket following a legal delivery ban but a new poll of voters there shows more than 75% of people are in favor of legal delivery in Los Angeles. The San Jose poll was conducted via phone March 10-14, 2016. It polled 500 residents of San Jose who are registered to vote in the November election. Eaze is making the way patients access medical marijuana easy, quick, and professional. 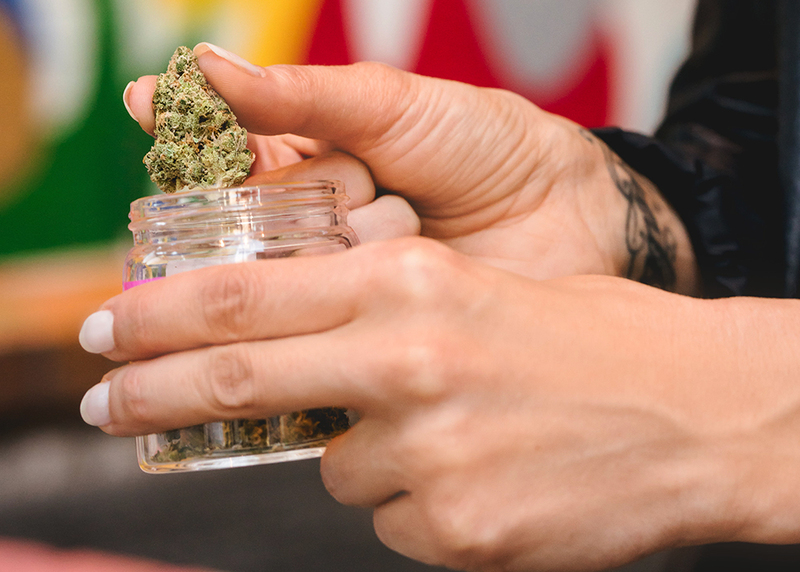 Where it is legal to do so, patients may use Eaze technology to safely and discreetly order and receive deliveries from Proposition 215 compliant dispensaries in less than 30 minutes from any connected device. Eaze software features GPS tracking and has built-in safeguards including verification of patient identification and medical recommendations. 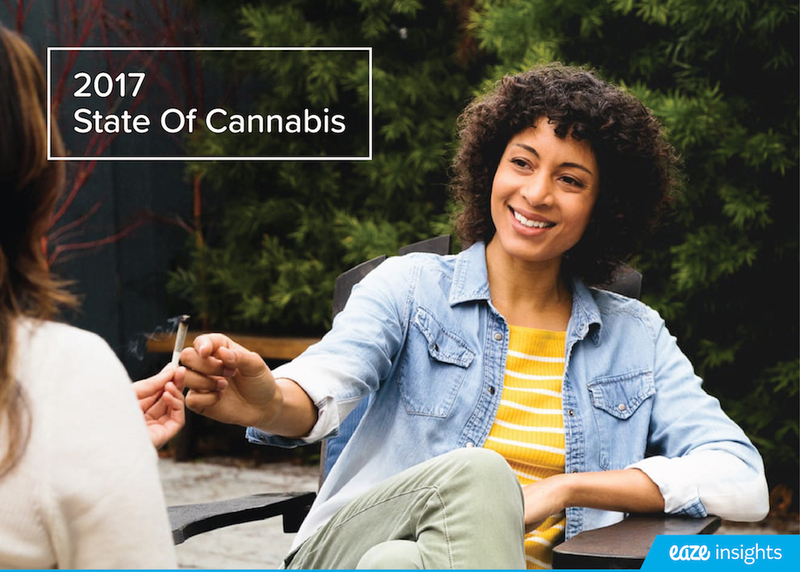 Eaze works with dispensaries that employ best practices, including transporting shipments under lock and key, criminal background checks, and driving history checks for dispensary drivers. Founded in 2013 by Keith McCarty, San Francisco-based Eaze is the first company to allow patients to access medical marijuana from dispensaries on-demand. The company is setting new standards for technological innovation, customer experience, legal compliance, and transaction transparency. Learn more at www.eazeup.com. If you are a public official or would like more information on how technology-enabled delivery can benefit your city, watch this video on delivery or contact us at policy@eazeup.com.